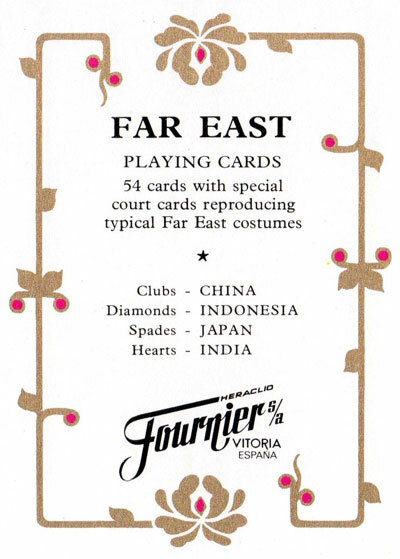 “Far East” playing cards with designs by Isabel Ibáñez de Sendadiano depicting Far Eastern costumes, each figure commensurate to the rank of the card, manufactured by Heraclio Fournier S.A., c.1980. See the extra card►. 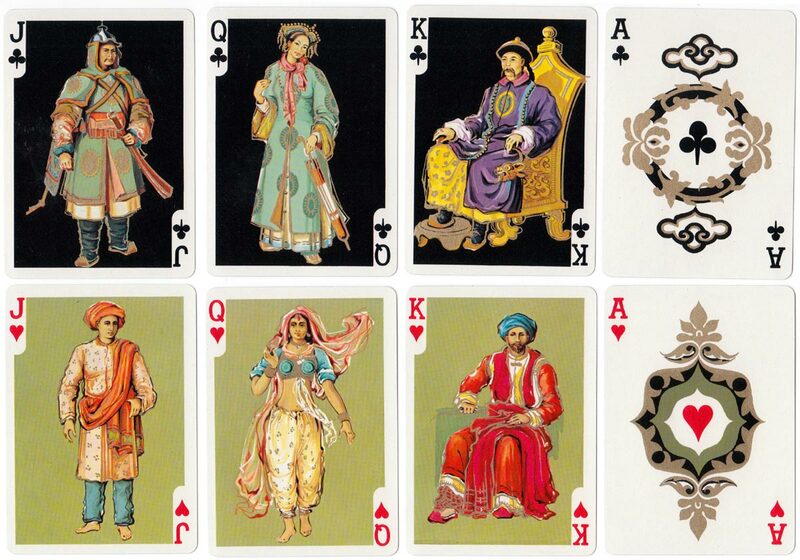 The four aces have complimentary designs reflecting the cultures of these countries. 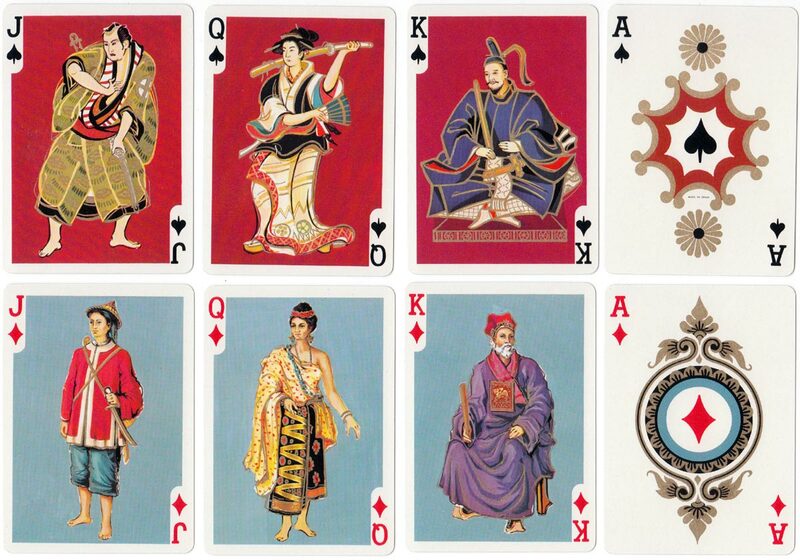 Above: “Far East” playing cards with designs by Isabel Ibáñez de Sendadiano manufactured by Heraclio Fournier S.A., c.1980. Decks contain 52 cards + 2 jokers + 2 title cards in box. The card faces and backs have a metallic gold illumination. Sets are often distributed by Congress cards in the USA. Images courtesy Rex Pitts.